By Dr Rajeev Kumar Singh and Jivesh Jha (KATHMANDU, 11 April 2018) – In the seven decades of freedom and 69 years of Republican exercise, we find the policy makers and India dwellers not much serious about the actual realization of Directive Principles of State Policy (DPSP) embodied under Part-IV of the Constitution of India. There are ample of provisions enshrined under the chapter of DPSP that seeks to quicken the pulse of egalitarianism on the sovereign soil of India. With the goal of creating a ‘welfare state’, the Chapter of Directive Principles lays down all solemn duties that a welfare state is expected to execute to fix a strong foundation of egalitarian society. The authors regret to assert that the growing economic disparities or states’ failure in ensuring equality of opportunity in respect to education, health and employment pose a threat to the Constitutional mandate of creating a society with base on socialism. The concentration of wealth in a few hands; or bourgeoisie’s control over material resources not only gives a blow to the Constitutional promises but also amount to condemnation of Constitution. Hitherto, the state’s attitude to give primacy to fundamental rights over the DPSP is creating an impression that the provisions ordained under DPSP are subject to enforcement at the sweet will of state or its economic capability. In this context, Article 37 provides that the provisions enshrined under part-IV are not enforceable by a law Court. It means the provisions of DPSP don’t enjoy the similar currency like that of fundamental rights when it comes to the question of enforceability. Interestingly, Article 32 of the Indian Constitution allows one to directly knock the door of the topmost Court at the instance of violation of his/her fundamental rights. Nevertheless, the similar position is adopted by the framers of Nepali Constitution as well. Justice Hegde argued that the fundamental rights and DPSP constitute the conscience of the Constitution. These two arrangements are meant to supplement one another for the reason of maintaining constitutionalism. Justice Chandrachud in the case of Minerva Mills v Union of India (1980) has rightly observed that the fundamental rights and DPSP together constitute the core of commitment to social revolution and they together are the conscience of Constitution. 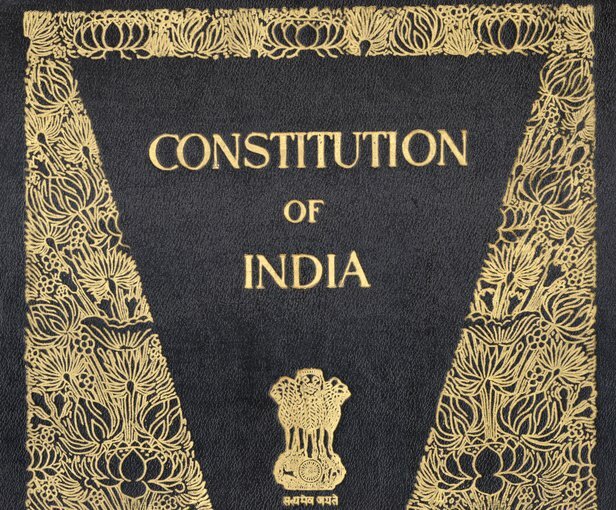 The Indian Constitution is founded on the bedrock of the balance between two. “To give absolute primacy to one over the other is to disturb the harmony of the Constitution. This harmony and balance between fundamental rights and DPSP is an essential feature of the basic structure of Constitution.” Similarly, in Dalmia Cement Ltd v Union of India (1996), the apex Court opined that fundamental rights and DPSP—the trinity—are the conscience of Constitution. Moreover, in Minerva Mills v Union of India, the Supreme Court of India has rightly held that fundamental rights and DPSP are complementary to one other. It is not necessary to sacrifice one for the other. It has also been observed that the fundamental rights and DPSP are the two essential requirements for activating the cause of socio-economic democracy. In IC Golakhnath v State of Punjab (1967), the apex Court observed that fundamental rights and Directive Principles constitute an integrated scheme forming a self-containing code. All the provisions of DPSP can reasonably be enforced without taking away or abridging the fundamental rights. The Court should adopt the principle of harmonious construction and attempt to give effect to the provisions of directive principles—the topmost Court ruled. At this backdrop, the differences and inter-relationships can be entrenched between the fundamental rights and directive principles. Its unanimously believed that the fundamental rights are the first generation rights, while the DPSP are the second generation rights. Fundamental rights are the individual rights but the latter is collective rights. Similarly, the fundamental rights imposes an obligation on the state to bestow the rights of the subjects while the language of directive principles mandates the state to adopt all possible measures to protect the rights contained under DPSP. Also, the fundamental rights can be directly enforced by the Court of justice under the writ jurisdiction clauses but the similar is not the case with DPSP. Unlike fundamental rights, the Directive Principles have indirect enforceability. On the same page, Justice Grober maintains that the fundamental rights provide means by which a goal is to be achieved while the DPSP prescribes that goal which is to be achieved by the fundamental rights. Thus, it becomes crystal clear that if states fail to discharge their duty in making an effort to make the promise of DPSP a reality, they fail to uphold and abide by the Constitution. Its high time we learned that the actual implementation of DPSP is the parameter to check the progress and prosperity of a state. While providing a vivid message to the world, a long stayed legal maxim of Salus Populi Suprema Lex provides that the welfare of people would be the supreme law. This maxim intends to impart a message that law exists to serve the common cause. In this light, the Supreme Court of India in a popular case of Umnikrishnan v State of Andhra Pradesh (1993) has clarified that the fundamental rights must be construed in the light of directive principles. The Court stressed on the need of upholding the promises contained under the directive principles in a bid to spearhead the cause of socio-economic democracy. “The makers of the Constitution had realized that in a poor country like India, political democracy would be useless without economic democracy. Accordingly, they incorporated a few provisions in the Constitution with a view to achieve amelioration of the socio-economic condition of the masses. Today we are living in an era of welfare state which seeks to promote the prosperity and well-being of the people. The Directive Principles strengthen and promote this concept by seeking to lay down some socio-economic goals which the various governments in India have to strive to achieve,” argues the much-admired commentator of Constitutional Law in India MP Jain in his popular work Indian Constitutional Law. On this note, one can conclude that the civil and political rights [i.e. fundamental rights] would not be strengthened unless the socio-economic and cultural rights [i.e., DPSP] are given impetus. Unfolding a new perspective, the highest court of land in India in the popular Umni Krishnan v. State of Andhra Pradesh (1993) observed that the horizon of fundamental rights would be further broadened if its interpreted in the light of Directive Principles and preamble to the Constitution. So, the scope of fundamental rights would be further widened at the times when the state and judicial department both start believing that there is no anti-thesis between fundamental rights and Directive Principles. The directive principles cannot be used as a basis for challenging the government or the inaction of the state is no more an absolutely true concept. At times the Supreme Court of India (for instance, Umnikrishnan v State of Andhra Pradesh) has directed the state governments to expand the horizon of the Directive Principles by the reading them in the light of fundamental rights. Judiciary is also a part of welfare state in India (and public welfare in Nepal). The Supreme Court of India has arrived on number of occasions to promote social welfare policies. For instance, right to food, shelter, education and the likes were part of DPSP in yesteryears but these rights have introduced under fundamental rights by virtue of robust judicial activism and judicial creativity. Its advisable for the judicial department of Nepal to champion the cause of public welfare. As Directive Principles contain provisions to maintain the socio-economic equilibrium in the society, the Nepali state—like Indian Republic—should institute measures to give effect to the provisions of Directive Principles. The purpose of Directive Principles to achieve a ‘public welfare’—much-like India’s ‘welfare state’—state would remain a distant reality unless we resort to read the provisions of Directive Principles in the light of fundamental rights. The socio-economic equilibrium cannot be maintained in the Himalayan Republic if we fail to realize the promises of Directive Principles.